I have to admit, I still don’t know what the heck this is even after looking around the site! I’m way confused. Or maybe I need some sleep. Anyone know exactly what the heck this thing is? UPDATE: I got a few emails back about this. One linked me here, and the other one had some text that will be in the extended section of this entry. Either way, it seems like a clothing line based around Black Sabbath. But since Tony Iommi’s people didn’t seem to know anything about it, I still wonder about it. The true history, art and commerce of the legendary heavy metal band BLACK SABBATH will finally be disclosed at the premiere of “Black Sabbath Resurrection”, a dark post-Apocalyptic world sparked by the music of the legendary band. Opening Friday, November 17, 2006 at 181 N. Martel, Los Angeles, “Black Sabbath Resurrection” is a highly unique collaboration of music, storytelling, and fashion inspired by a singular event in the history of BLACK SABBATH. The opening night reception promises to bring together a mix of VIPs and celebrities and invited guests. Beginning Monday, November 19, the “Black Sabbath Resurrection” showcase will be open to the public from Monday-Saturday from 11 a.m. to 6 p.m.
“Black Sabbath Resurrection” is a mind-blowing chronicle of that event and the mystery that has continued to surround it, birthed from the music of BLACK SABBATH. That story will finally be told through video montage on display at 181 Martel. Through early 2007 181 Martell will be transformed into “Black Sabbath Resurrection” surrounded by the music of BLACK SABBATH and renowned graffiti artist Axis. Simultaneously, a band retrospective at the connected Naked Gallery/Boutique will showcase vintage posters and other archival band items (with limited run reproductions of photographs available for purchase). The BSR exhibit will also offer other an eclectic mix of limited edition for-sale items including the BSR jewelry collection (Instruments of Death), athletic shoes (Chuck Taylors from Converse), high-tech sunglasses (Dita) and denim jeans (Anachronorm), plus the showcasing of a unique leather jacket collection designed by Maya Yogev. In addition, the locale’s Lone Ones shop will exhibit its limited edition for-sale high-end “Black Sabbath Resurrection” jewelry line. 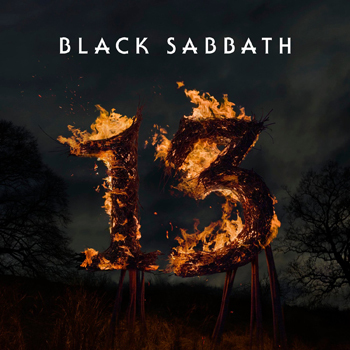 Most of the items are seen in or have been inspired by the “Black Sabbath Resurrection” story. “BLACK SABBATH is the defining force and catalyst for heavy metal. Through BSR the band’s stamp now encompasss the world of fashion, art and media,” says Dell Furano, CEO of Signatures Network. 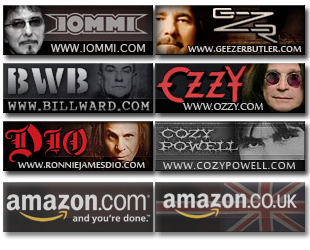 Signatures Network has enjoyed a decades-long relationship with the BLACK SABBATH. For “Black Sabbath Resurrection”, Signatures and Romanberg worked closely with BLACK SABBATH in gathering stories, relics, and ideas for the project.